Land for sold! Now you can buy the beauty of Africa and the resourceful Amazon river – it’s a good investment! The idea is good. Helping those in need and stopping hunger. The solution can be debated, though. So yesterday we had a little reminder of all the people out there who are starving. We also named some of the responsible for it. 2011 was another good year for hunger, which means a pretty bad one for the people in poverty. The largest refugee camp in the world, Dadaab in Kenya, has attracted the international attention only this year. The catastrophical living conditions in the camp have been existing for years though. “Don’t throw that away, there are People in Africa who are Hungry”, have you heard that before? Well, fact is, it is true and worth to write a post on this story. About that and about carrots. Today I would like to introduce you to Raj Patel, who calls himself writer, activist and academic (in that order). Others even call him the Antichrist, which sounds even more appealing, doesn’t it? People already throw away a LOT of food. But what about supermarkets? And why don’t we care more about this? 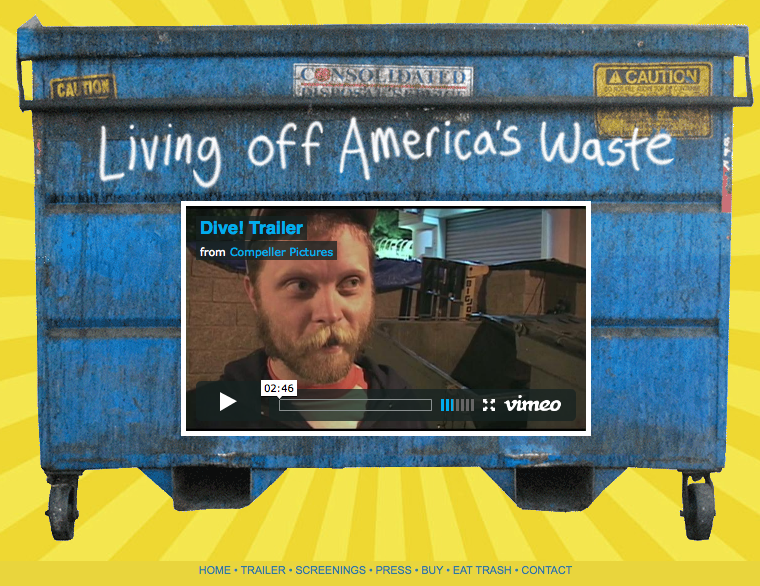 Check out the documentary Dive!, which will take you into the world of dumpster diving. It is all about re-using things that other people throw away.